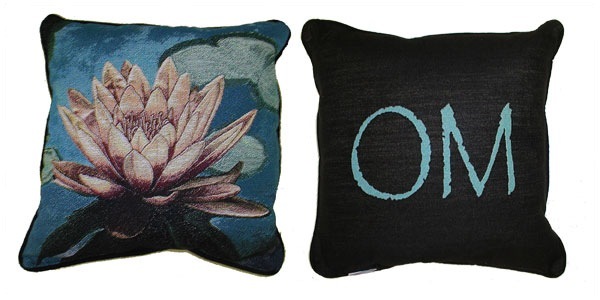 18" x 18" double sided pillow, Lotus front, Om back. Made in the USA. 18" x 13" double sided pillow, Lotus front, Namaste back. Made in the USA. 18" x 18" double sided pillow, Sacred Centers front, Balance back. Made in the USA.